The Common Core Social Studies Standards are here to stay. They encourage more critical thinking, reading, writing, and discussions in the classroom. Below each set of Common Core Social Studies Standards is an explanation of what is meant by them that starts with the words “In other words”. This page focuses on the middle school Common Core Social Studies Standards as well as the ELA Speaking & Listening and Writing Common Core Standards. Examples of how to differentiate instruction when using the Common Core Social Studies Standards in the classroom are also provided. The Common Core Social Studies Standards are a lot easier to implement in your classroom than you might think. There are links to more in-depth blog articles for some of the standards to help you get even more ideas and a better understanding of the Common Core Social Studies Standards. 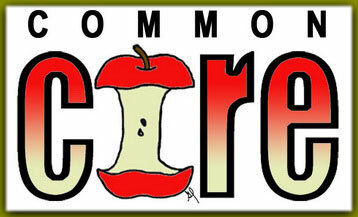 Please click on the links to go to the Common Core Social Studies blog articles. Common Core Social Studies Standard.ELA-Literacy.RH.6-8.1 Cite specific textual evidence to support analysis of primary and secondary sources. Common Core Social Studies Standard.ELA-Literacy.RH.6-8.2 Determine the central ideas or information of a primary or secondary source; provide an accurate summary of the source distinct from prior knowledge or opinions. Common Core Social Studies Standard.ELA-Literacy.RH.6-8.3 Identify key steps in a text’s description of a process related to history/social studies (e.g., how a bill becomes law, how interest rates are raised or lowered). In other words, your students should use sections of the primary or secondary source they are analyzing to prove their thesis or what they believe is meant by the primary or secondary source. They need to know the main idea of the primary or secondary source. Have them explain why their viewpoint may have changed about a situation in history after analyzing the primary or secondary source. Reading for knowledge is different from reading for pleasure. Students should be able to pick apart a text to find steps in a process. Many events in history and the workings of government are sequential. These standards help students learn how to back up their opinions with facts and evidence. It helps bring critical thinking into the classroom. Common Core Social Studies Standard.ELA-Literacy.RH.6-8.4 Determine the meaning of words and phrases as they are used in a text, including vocabulary specific to domains related to history/social studies. Common Core Social Studies Standard.ELA-Literacy.RH.6-8.5 Describe how a text presents information (e.g., sequentially, comparatively, causally). Common Core Social Studies Standard.ELA-Literacy.RH.6-8.6 Identify aspects of a text that reveal an author’s point of view or purpose (e.g., loaded language, inclusion or avoidance of particular facts). In other words, have students read and learn vocabulary using context clues. Using context clues is one of the main ways people, young or old, learn new vocabulary. While reading primary or secondary sources, a point of view is usually provided, unless it’s a government or legal document. It is important that students can pinpoint those views so that they don’t take only one author’s word as truth. Points of view are slanted and show how that person sees the world. Students need to be able to point out the language that makes them believe the author felt a certain way about an event. Authors often leave out important facts and use only the facts that will prove their point. Students need to be able to dissect a primary or secondary source by using prior knowledge on the subject. Common Core Social Studies Standard.ELA-Literacy.RH.6-8.7 Integrate visual information (e.g., in charts, graphs, photographs, videos, or maps) with other information in print and digital texts. Common Core Social Studies Standard.ELA-Literacy.RH.6-8.8 Distinguish among fact, opinion, and reasoned judgment in a text. Common Core Social Studies Standard.ELA-Literacy.RH.6-8.9 Analyze the relationship between a primary and secondary source on the same topic. In other words, use a variety of sources including charts, graphs, photographs, videos, maps and texts to help students delve into the content. You can do this easily with a web-quest or a museum walk. Students should be able to tell the difference between fact, opinion and reasoned judgment in a text. This will help identify the point of view I wrote about in the Craft and Structure explanation. Students should be able to tell the difference between a primary source and a secondary source and how they compare to each other on a certain piece of content. Common Core Social Studies Standard.ELA-Literacy.RH.6-8.10 By the end of grade 8, read and comprehend history/social studies texts in the grades 6–8 text complexity band independently and proficiently. In other words, students should be reading at grade level. I understand that most middle school and high school teachers are not reading specialists however, you should be able to teach them how to read a social studies textbook and other primary or secondary sources. How can we teach reading? One of my favorite techniques to help students understand what they have read is highlighting and annotating. Have students highlight only the keywords of a text that you have printed out. They can write an annotation, a short description or summary, in the margin. Using a textbook makes this technique a little harder to facilitate, but not impossible. Obviously, they cannot highlight or write in their textbook, but you can provide them with sticky notes to place next to each section where they can write their annotations. You can cut each sticky note into 3 sections to give to your students. They can even write the keywords on it instead of highlighting them. This technique makes the student stop after each section and think about what they’ve read. If they can’t summarize it then they did not comprehend it and need to go back and read it again until they can summarize the section. Another benefit occurs when they need to study for a test. They will be able to find information faster if they have annotated correctly. How can we differentiate instruction for reading? 1. Usually, when reading assignments are created, the questions come at the end of the passage. This will work fine for grade level readers however, lower level readers will find this intimidating and will often give up. I have started to break up the reading passages for these students. I place the questions underneath the different sections the answers can be found in. This helps to focus the lower readers as well as ADHD and ADD students by making the task more manageable for them. 2. When I assign a primary source document, I seldom change anything for the high level or grade appropriate readers. I do modify the primary source for below grade level readers. I take out words and phrases that are redundant or unnecessary for the student to grasp the meaning of the text. This helps students focus on the proper parts of the texts and decreases them getting lost while reading. I also add simplified words in parenthesis to help students understand the new vocabulary words. Many times primary sources use such archaic language that using context clues to find out the meaning of words would be impossible for a lower level reader. 3. Another way you can differentiate instruction is by finding alternative texts for students to use. If your school keeps track of Lexile scores, I recommend using them. Many books that are content related have a Lexile score that you can look up on the internet. If a student is on a first-grade reading level but in the seventh-grade, and yes I have had many occurrences of this in my own classroom, then they will find a seventh-grade textbook extremely difficult to read. I am aware that this recommendation clashes with the common core standard above but we need to be realistic as teachers. A student on a first-grade reading level is not going to magically learn how to read seventh-grade grade level in one year. We need to meet them in-between. They are responsible for the content whether they can read at the seventh-grade level or not. We need to help them begin to bridge the gap by decreasing the reading level for them. Many of your ELA coworkers will have experience with Lexiles and reading circles and will most likely be very happy to help you learn so it can be used in your class. 4. My final suggestion is not for the content teacher but for an entire school. If your school has readers that are not reading on grade level you should check out READ180. I taught in two schools that were considered failing schools. They were on the Needs Improvement list year after year. I was involved in the school improvement team in both of the schools. The first time I saw this program in action was in NY and we had massive improvements in reading because of it. When I moved to GA and began teaching there, I encouraged that school to use it as well. They also saw massive improvements in reading. My own son used it in his school when we lived in Germany. When we adopted him at almost 6, he was no where close to where he should have been and we struggled year after year trying to get him to read at grade level. He went from a second grade reading level to a fourth grade reading level while he was in fourth grade. He is now in fifth grade and is now at grade level. I receive nothing from READ180 for recommending their product. I am just extremely pleased with the results that I have seen when it is implemented into a school. By the way, both of those schools did get off the Needs Improvement lists. Common Core State Standard.ELA-Literacy.W.7.1 Write arguments to support claims with clear reasons and relevant evidence. Common Core State Standard.ELA-Literacy.W.7.1a Introduce claim(s), acknowledge alternate or opposing claims, and organize the reasons and evidence logically. Common Core State Standard.ELA-Literacy.W.7.1b Support claim(s) with logical reasoning and relevant evidence, using accurate, credible sources and demonstrating an understanding of the topic or text. Common Core State Standard.ELA-Literacy.W.7.1c Use words, phrases, and clauses to create cohesion and clarify the relationships among claim(s), reasons, and evidence. Common Core State Standard.ELA-Literacy.W.7.1d Establish and maintain a formal style. Common Core State Standard.ELA-Literacy.W.7.1e Provide a concluding statement or section that follows from and supports the argument presented. Common Core State Standard.ELA-Literacy.W.7.2a Introduce a topic clearly, previewing what is to follow; organize ideas, concepts, and information, using strategies such as definition, classification, comparison/contrast, and cause/effect; include formatting (e.g., headings), graphics (e.g., charts, tables), and multimedia when useful to aiding comprehension. Common Core State Standard.ELA-Literacy.W.7.2b Develop the topic with relevant facts, definitions, concrete details, quotations, or other information and examples. Common Core State Standard.ELA-Literacy.W.7.2c Use appropriate transitions to create cohesion and clarify the relationships among ideas and concepts. Common Core State Standard.ELA-Literacy.W.7.2d Use precise language and domain-specific vocabulary to inform about or explain the topic. Common Core State Standard.ELA-Literacy.W.7.2e Establish and maintain a formal style. Common Core State Standard.ELA-Literacy.W.7.2f Provide a concluding statement or section that follows from and supports the information or explanation presented. Common Core State Standard.ELA-Literacy.W.7.2 Write informative/explanatory texts to examine a topic and convey ideas, concepts, and information through the selection, organization, and analysis of relevant content. In other words, have your students write a topic sentence that has purpose. Have students add facts and elaborations of those facts, including evidence, to support their topic sentence. Paragraphs should melt into one another by the use of connecting phrases and transition phrases. Using a formal style can be as simple as having them write in paragraph or essay form. A concluding statement can be a concluding sentence at the end of a paragraph or at the end of an essay in a concluding paragraph. How can we differentiate instruction for expository writing? I developed an expository leveled writing system when I taught in GA. I had a class with 24 out of 28 students who were either receiving interventions due to RTI or accommodations for SPED and ELL. Most of these students could not even write a topic sentence and were overwhelmed by paragraph writing. Two of the other students were gifted and the other two were considered average. All four of them could write a complete paragraph and essay. I had a success rate of 99% improvement in writing for several years using this system. It allowed me to challenge all of my students at their own ability level. Below are the parts that need to be included in expository writing. Common Core State Standard.ELA-Literacy.W.7.3 Write narratives to develop real or imagined experiences or events using effective techniques, relevant descriptive details, and well-structured event sequences. Common Core State Standard.ELA-Literacy.W.7.3c Use a variety of transition words, phrases, and clauses to convey sequence and signal shifts from one time frame or setting to another. Common Core State Standard.ELA-Literacy.W.7.3d Use precise words and phrases, relevant descriptive details, and sensory language to capture the action and convey experiences and events. Common Core State Standard.ELA-Literacy.W.7.3e Provide a conclusion that follows from and reflects on the narrated experiences or events. Common Core State Standard.ELA-Literacy.W.7.5 With some guidance and support from peers and adults, develop and strengthen writing as needed by planning, revising, editing, rewriting, or trying a new approach, focusing on how well purpose and audience have been addressed. Common Core State Standard.ELA-Literacy.W.7.6 Use technology, including the Internet, to produce and publish writing and link to and cite sources as well as to interact and collaborate with others, including linking to and citing sources. In other words, have students write in a grade-appropriate format with clarity, organization, on topic and geared to the audience it’s intended for. Have students revise their writing, using self-revision, peer revision, and teacher-student sessions to improve their writing. I have not done the last standard CCSS.ELA-Literacy.W.7.6 yet as a teacher, but I think it would be interesting. Have your students use the computer and create a piece of writing that uses other cited sources to help prove a point. If you have students that are ADHD or ADD, don’t assign this as homework. Looking for quality sources on the internet can be like finding a needle in a haystack and most of the time ADHD and ADD students will take their medicine in the morning and it will wear off around 3:00. They will not be able to concentrate on this type of assignment at home. Common Core State Standard.ELA-Literacy.W.7.7 Conduct short research projects to answer a question, drawing on several sources and generating additional related, focused questions for further research and investigation. Common Core State Standard.ELA-Literacy.W.7.8 Gather relevant information from multiple print and digital sources, using search terms effectively; assess the credibility and accuracy of each source, and quote or paraphrase the data and conclusions of others while avoiding plagiarism and following a standard format for citation. Common Core State Standard.ELA-Literacy.W.7.9 Draw evidence from literary or informational texts to support analysis, reflection, and research. Common Core State Standard.ELA-Literacy.W.7.9a Apply grade 7 Reading standards to literature (e.g., “Compare and contrast a fictional portrayal of a time, place, or character and a historical account of the same period as a means of understanding how authors of fiction use or alter history”). Common Core State Standard.ELA-Literacy.W.7.9b Apply grade 7 Reading standards to literary nonfiction (e.g. “Trace and evaluate the argument and specific claims in a text, assessing whether the reasoning is sound and the evidence is relevant and sufficient to support the claims”). In other words, have your students do a short research project. Middle school social studies classes should have at least one of these a year and so should ELA classes. It is important that you collaborate with the ELA teacher so that you both use the same system of research. The consistency of it will help your students learn the proper procedures for research. Common Core State Standard.ELA-Literacy.W.7.10 Write routinely over extended time frames (time for research, reflection, and revision) and shorter time frames (a single sitting or a day or two) for a range of discipline-specific tasks, purposes, and audiences. Common Core State Standard.ELA-Literacy.SL.7.1 Engage effectively in a range of collaborative discussions (one-on-one, in groups, and teacher-led) with diverse partners on grade 7 topics, texts, and issues, building on others’ ideas and expressing their own clearly. Common Core State Standard.ELA-Literacy.SL.7.1a Come to discussions prepared, having read or researched material under study; explicitly draw on that preparation by referring to evidence on the topic, text, or issue to probe and reflect on ideas under discussion. Common Core State Standard.ELA-Literacy.SL.7.1b Follow rules for collegial discussions, track progress toward specific goals and deadlines and define individual roles as needed. Common Core State Standard.ELA-Literacy.SL.7.1c Pose questions that elicit elaboration and respond to others’ questions and comments with relevant observations and ideas that bring the discussion back on topic as needed. Common Core State Standard.ELA-Literacy.SL.7.1d Acknowledge new information expressed by others and, when warranted, modify their own views. Common Core State Standard.ELA-Literacy.SL.7.2 Analyze the main ideas and supporting details presented in diverse media and formats (e.g., visually, quantitatively, orally) and explain how the ideas clarify a topic, text, or issue under study. Common Core State Standard.ELA-Literacy.SL.7.3 Delineate a speaker’s argument and specific claims, evaluating the soundness of the reasoning and the relevance and sufficiency of the evidence. In other words, have students work collaboratively as a group or class to discuss historical issues. The following website shows how you can use the collegial discussions: http://apps.carleton.edu/curricular/aiseminars/cedi/mijacedi/. Students should be able to form an opinion and back it up with evidence as to why they have that opinion. They should listen to others and dissect their arguments to make sure they are sound. Anytime students have to create a solution to a historical problem as a group, they are also using these standards. Common Core State Standard.ELA-Literacy.SL.7.4 Present claims and findings, emphasizing salient points in a focused, coherent manner with pertinent descriptions, facts, details, and examples; use appropriate eye contact, adequate volume, and clear pronunciation. Common Core State Standard.ELA-Literacy.SL.7.5 Include multimedia components and visual displays in presentations to clarify claims and findings and emphasize salient points. Common Core State Standard.ELA-Literacy.SL.7.6 Adapt speech to a variety of contexts and tasks, demonstrating command of formal English when indicated or appropriate. If you have any suggestions about how to implement the Common Core Standards in the middle school social studies classroom, please feel free to comment or contact me using the form below.